Last week’s proceedings about Brexit led to MPs opting to delay the exit from European Union at least until the end of June. However, the decision is not unilateral and any extension of Article 50 of the EU treaty, which allows members to leave the bloc, must be approved unanimously by all 27 remaining states. The next opportunity for EU leaders to discuss the issue will be at a two-day European Council (EC) meeting just a week before the current Brexit deadline of March 29, But it is not yet clear whether this meeting will prove decisive, or how long the granted extension will be. Prime Minister Theresa May office revealed that, May won’t ask the European Union for a “long” extension to the Brexit deadline, after pro-Brexit ministers objected to being stuck in the bloc for much longer. If we have a gaze of the recent developments regarding Brexit, Labour leader Jeremy Corbyn is planning to meet with the EU’s chief Brexit negotiator Michel Barnier during his visit to Brussels. He’s due to attend a meeting of European socialists before the EU summit. Previously, Corbyn held cross-party talks in London in a bid to find a way out of the parliamentary impasse over Brexit. He’s pushing for a softer break from the EU that would see Britain remain in a customs union with the bloc. During her interview with media, House of Commons leader Andrea Leadsom said the government could potentially hold a third vote on May’s Brexit deal next week, despite Speaker John Bercow’s ruling that they can’t bring it back unchanged for another try. I think that if we have the numbers to be able to support the prime minister’s deal then we will be able to find a way around the procedures and there are different ways to do that and obviously that’s one of the things I’ve been considering, she added. The EU has made clear that if the UK wants a longer extension, it will have to take part in the European Parliament elections at the end of May. The new assembly’s first sitting is on July 2, and should the UK still be part of the EU by then, it will be required to have representation. Exasperated European leaders are demanding London tell them clearly what it wants, warning that the risk still remains that Britain could crash out of the bloc on March 29, ending its 46-year membership without formal arrangements. The British prime minister is struggling to keep control of the Brexit process after MPs last week decisively rejected the EU divorce deal for a second time. In the 2016 referendum, 17.4 million voters, or 52 percent, backed Brexit while 16.1 million, or 48 percent, backed staying in the bloc that the UK joined in 1973. The vote and a series of political crises since have exposed deep divisions and have fuelled soul-searching about everything from secession and immigration to capitalism and British identity. The EU is seeking a detailed road map from the prime minister on how parliament will decide on one of those options should her deal be rejected again next week, and is pushing for a commitment by May that a decision would be made by MPs by mid-April. The prime minister will seek agreement at this week’s EU summit on an extra three months of membership, to pass the necessary withdrawal legislation in the event of her deal being backed by the Commons next week, or a longer period otherwise. The EU is not legally allowed to set conditions on an extension, but understandings are being sought. 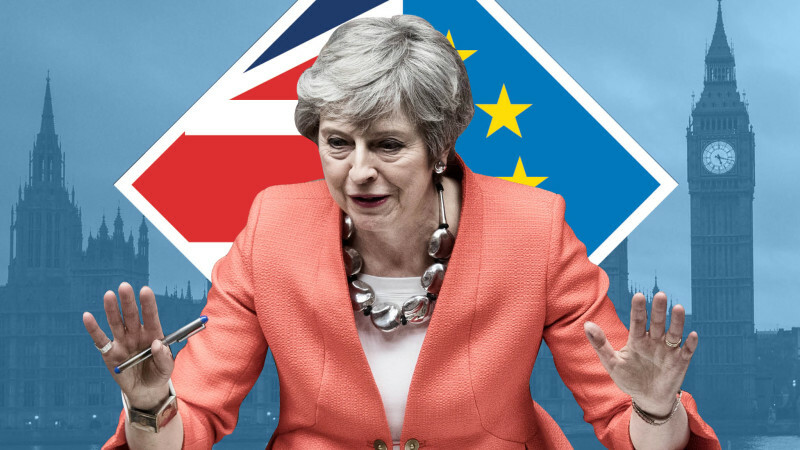 Banks and investors are now being forced to finalise plans only days from the Brexit deadline, with London’s future trading relationship with the EU still in question after Theresa May failed for a second time to secure parliamentary approval for her deal last week. She now faces having to ask Brussels for an extension to Brexit, causing added uncertainty for businesses in the UK. Writer is the Assistant Editor ‘Mélange int’l Magazine’, ‘The Asian Telegraph’ & Project Coordinator (COPAIR); a degree holder in communication & media sciences.